Bijlard Extreme Pressure Roller, because the best can always get better! However, Peter Bijlard from Bijlard International was looking for a better alternative to current rollers. This was nowhere to be found, and so he approached a colleague at another manufacturer with ideas for what he wanted to see in a new roller, who then also added some modifications. This resulted in a larger and stronger roller, which also consisted of far fewer parts, leading to a longer working life. 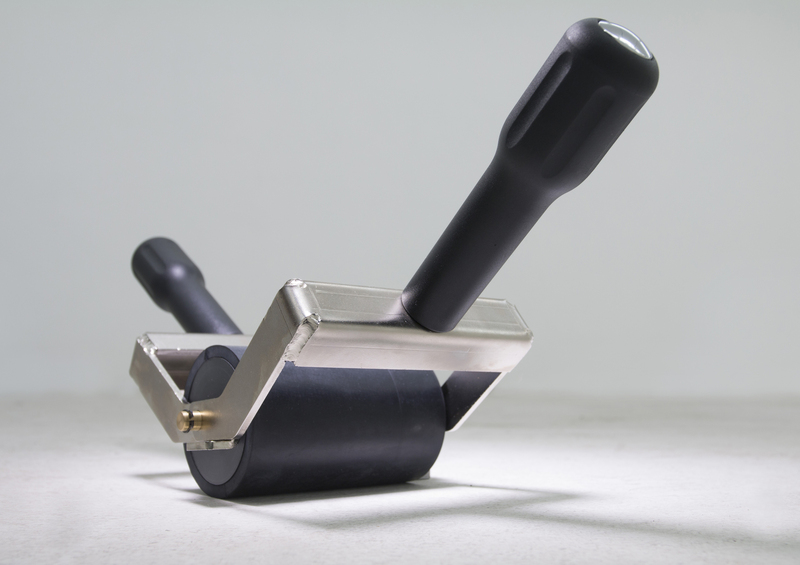 The pressure roller itself consists of a plastic core, and has large, sturdy plastic handles to maximise the pressure that can be applied. There is also a handy magnet on the handle, which makes it easy to store the device. “This is another typical example of how we listen to our customers and work with them to develop new solutions”, tells an enthusiastic Peter Bijlard, who also came up with the revolutionary Sqraper®. The Bijlard Extreme Pressure Roller is a must for every professional who is looking for the very best hand tools!